Contact Adrianna Franklin at adrianna@smdra.com if you have any questions. 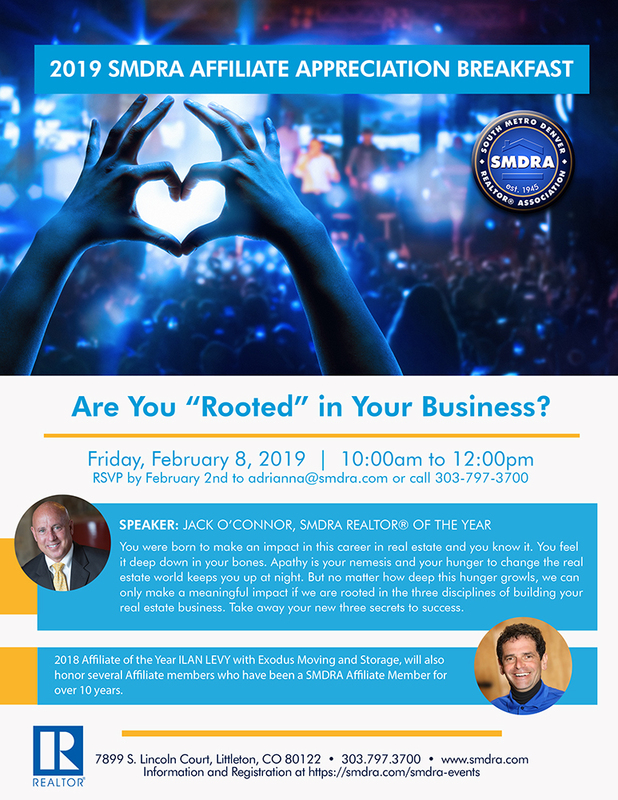 PRESENTATION: Are You ‘Rooted’ in Your Business? You were born to make an impact in this career in real estate and you know it. You feel it deep down in your bones. Apathy is your nemesis and your hunger to change the real estate world keeps you up at night. But no matter how deep this hunger growls, we can only make a meaningful impact if we are rooted in the three disciplines of building your real estate business. Take away your new three secrets to success. 2018 Affiliate of the Year ILAN LEVY with Exodus Moving and Storage, will also honor several Affiliate members who have been a SMDRA Affiliate Member for over 10 years.